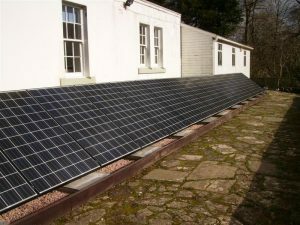 Not only do we deal with solar for our customers, we also have our own Solar PV system with battery storage at our office. We use it to test new equipment and for demonstration purposes. We recently made significant changes to our system in order to allow us to test new battery storage products. We changed over from a “traditional” string inverter, a Fronus IG TL 3.6 from our array of Kyocera modules, to a SolarEdge system. 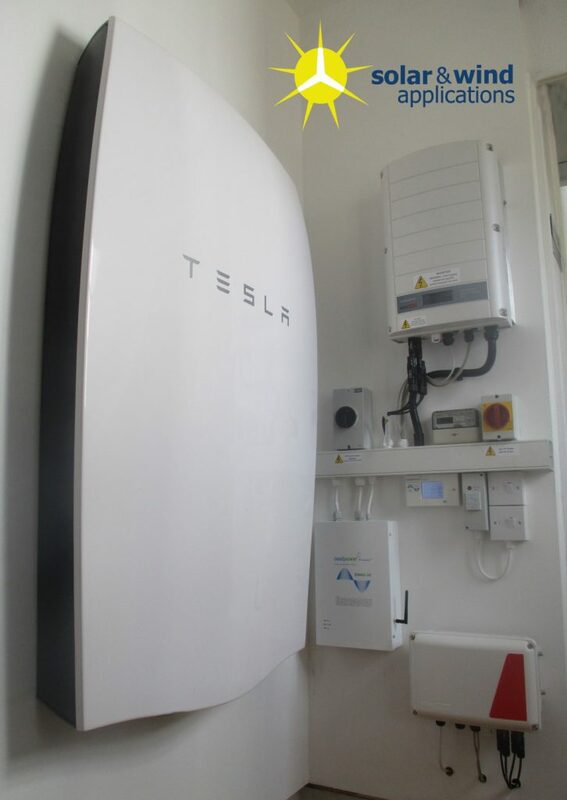 This allowed us to DC Couple a Tesla Powerwall to ensure that we are making the most of our own clean electricity. Whilst our consumption is reasonably high during the day, and we already achieve pretty good self consumption, as well as night tome energy the Powerwall allows peak loads to be covered during the day. This is a really nice solution. We chose the Powerwall for its high power input and output, meaning it can charge quickly from any available power, as well as discharge quickly through our 3.6kW inverter to feed peak loads…namely the kettle! With peak AND continuous power of 3.3kW, the Tesla beats many other battery systems on this front. We also have our Coolpower EMMA Elite running to catch any surplus and divert it to hot water. We are happy to share access to our monitoring for the system, so do get in touch and ask (don’t be shy!) if you’re interested and we’ll arrange for access!